NewsHarriers Skipper Ends the Season in Style! Harriers Skipper Ends the Season in Style! [caption id="attachment_7682" align="alignleft" width="300"] Andy Grant leads at the Guy Fawkes 10. Andy Grant marked an emphatic end to his 2017 season with a superb win at the recent Guy Fawkes 10, finishing in a new course record time of 56:09 - an outstanding result on a very tough course. 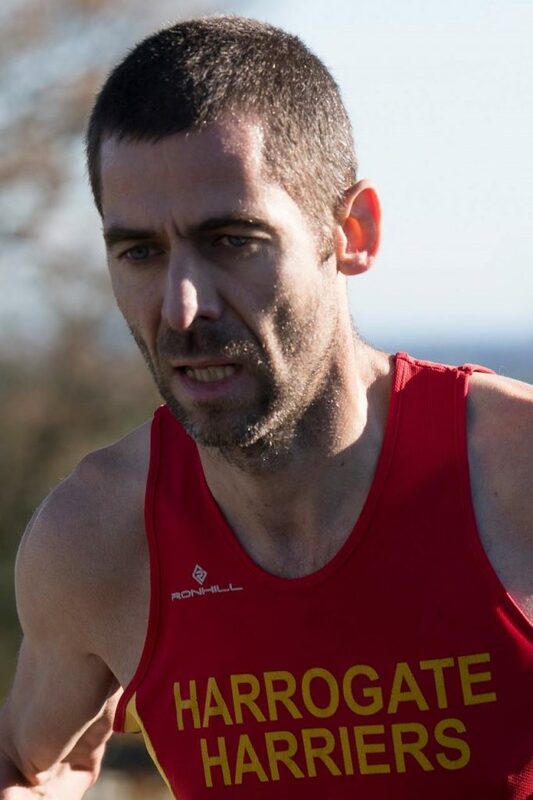 It's been an incredible year for the Harriers Club Captain and one where his huge training investment has borne fruit: He has won 9 out of the 21 races in which he's competed in 2017, but that doesn't really tell the whole story as his phenomenal performances have pushed him well up the UK's age-group ranking in several categories, including 3rd at 5,000m track (15:50) and also 3rd at the marathon distance with his most recent PB of 2:32:26 at Jersey. This is a very diverse range of disciplines and demonstrates - if proof were needed- what a superb all-rounder he is and how he continues to defy the odds and deliver time after time. He is typically modest about his achievements and rates being selected to run for Yorkshire at the Inter-County XC Championships as one of the highlights of his year, also finishing in second place on leg 1 of the Calderdale Relay with clubmate Chris Miller, despite a bad fall on the final descent that saw him dislocate his shoulder. Many runners would have simply retired. He remains unbeaten in the MV45 category in 2017 and has become the British V45 10-mile champion as a result of his consistent performance at this distance, doing so on courses that are not amenable to PBs. You have to wonder what 2018 will bring for Andy? [caption id="attachment_7693" align="alignright" width="280"] Typically Determined! Of course, running prowess is expected in the Grant family - Andy's dad Ben Grant is a noted fell-runner and still competing at the highest level, securing the 2017 English MV65 Fell championship and placing 3rd in the 2017 British MV60 Championship, both truly stunning achievements. 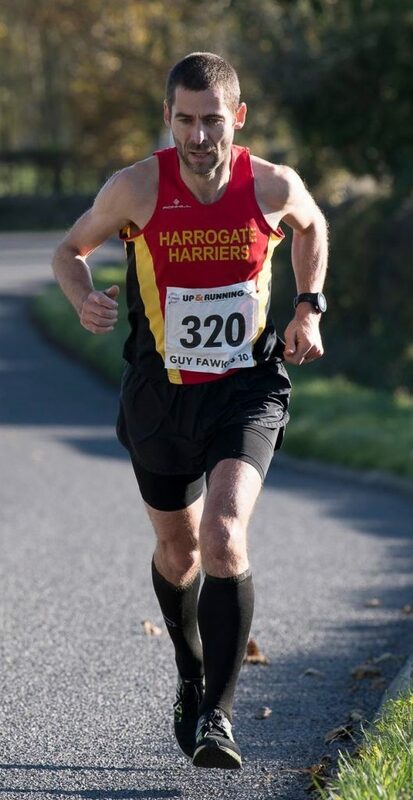 Both father and son have done nothing but bring great credit to running in the Harrogate area and it goes without saying that Harrogate Harriers are inordinately proud of them. Well done both!